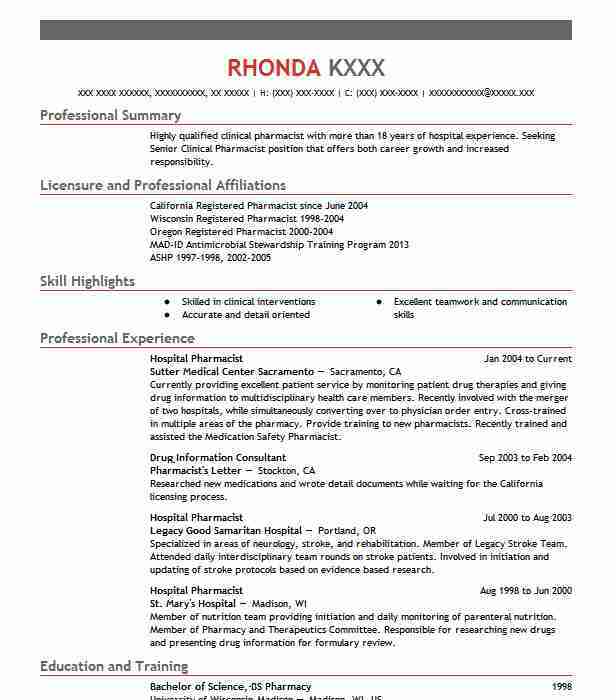 Customer-focused committed Hospital Pharmacist with over 15 years experience as pharmacy manager servicing inpatients clinic and prescription benefit management.Outstanding interpersonal skills with a proven track record of establishing and maintaining positive relationships with customers pharmaceutical vendors medical professionals healthcare organizations and insurance providers. 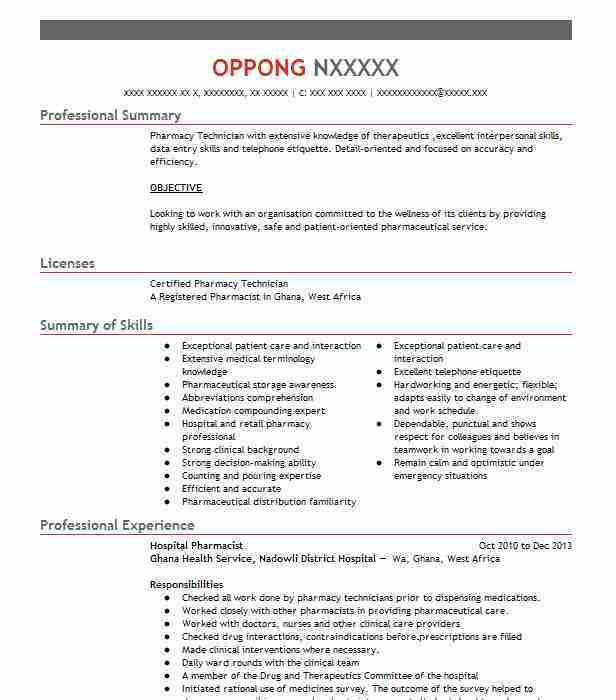 Develops and oversees effective annual operational budgets. 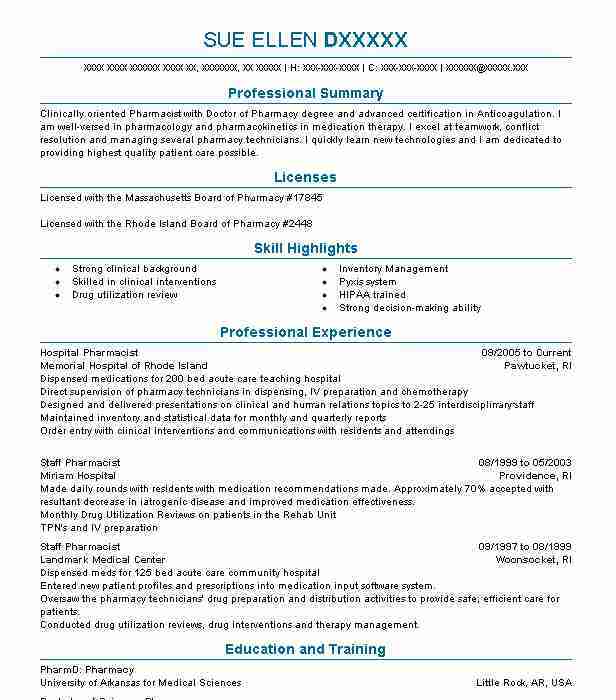 There are plenty of opportunities to land a Hospital Pharmacist job position, but it won’t just be handed to you. 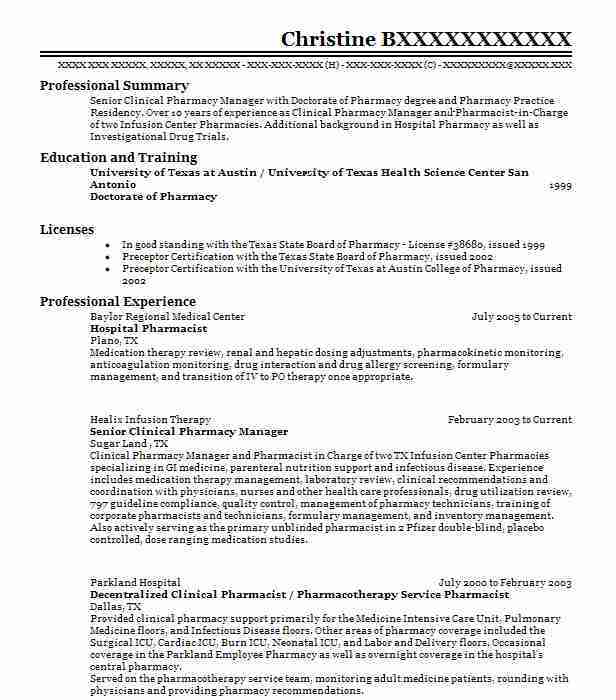 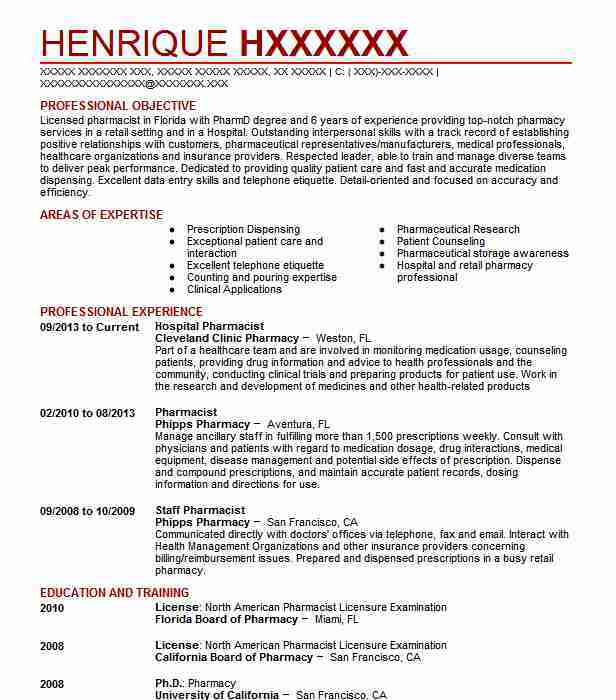 Crafting a Hospital Pharmacist resume that catches the attention of hiring managers is paramount to getting the job, and LiveCareer is here to help you stand out from the competition.